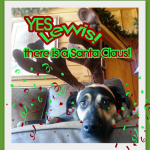 UPDATE 12/9/2014 – Congratulations Lewis – you will now have your leg for Christmas! We did it! Our Dr. Em is setting up Lewis’ first appointment for his initial prosthetic leg THANKS TO OUR AMAZING DONORS!! He will wear this temporary leg for 4-6 months while he gets used to it and so that OrthoPets can determine what changes may need to made to his permanent prosthetic. Part 1 funded thanks to you wonderful people. I think I’m a bit weepy now. Yay Lewis and to everyone that helped. Dr. Em will follow up with pictures and videos of Lewis’ visit to OrthoPets and we will find out how much more is needed for his permanent leg. Amazing day! Lewis came to Colorado Animal Welfare League by owner surrender. In the middle of this summer the CAWL SNOWmobile was in La Jara, CO working on a grant to spay and neuter the public owned dog population of the San Luis Valley. In the midst of morning check in we realized there was an extra kennel with no surgery consent form attached, rather a surrender form. A man had signed his name and noted he was surrendering the dog to CAWL and had left the premises. His kennel was filled with about 60 pounds of shy and thin, black and tan fur. Coaxed out with just a few kind noises and gentle hands and we realized it was a near full grown handsome black and tan shepherd mix that was missing half of his right front limb. He loved people and attention but was quite shy to walk with you, stumbling and fumbling, not quite comfortable with his incomplete limb. For the remainder of that spay and neuter clinic he learned to walk on leash and to accept the love and attention we all gave him. We learned that he simply adores children and always has a smile on his face. We also came to recognize that his limb was missing at an anatomical place that made it very difficult for him to not use it, but using it was not effective. Lewis rode back to the Denver area with the spay neuter team and quickly landed a great foster family. Not long after we were lucky enough to get a consultation with OrthoPets. Lucky for Lewis OrthoPets is right here in Denver and is world renowned for their mission to ”improve their patient’s quality of life through innovative prosthetic and orthotic solutions”. An initial visit to OrthoPets helped us learn a lot about Lewis: he was likely born with a partial front right limb, this boy still had some growing to do and most exciting he is an excellent candidate for a prosthetic front right leg. So Lewis has done his growing and had his first fitting for his initial prosthetic leg. He is ready to make it happen and wear a new leg and learn to make it his own, we only need one thing, funding. This is where Lewis’s charm, good looks and young life ahead of him come in. 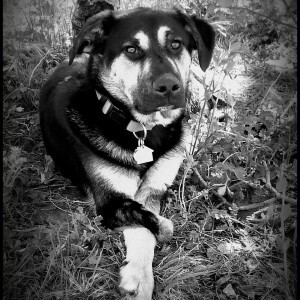 Colorado Animal Welfare League would very much like to help Lewis get his leg. As you can imagine, it is expensive. For many reasons we feel that Lewis deserves a shot at a prosthetic leg: he is young and has a long healthy life expected ahead of him to learn to use and benefit from a new leg, he is just long and large enough that a front limb amputation, although an option, would not be the best option suited for him. Lewis has his own Facebook page to allow people to follow him and his progress towards a new leg and will be attending events, visiting and contacting potential donors in order to help raise funds for his prosthetic. And to make this a bit more fun, we would like the largest donor to select the color and pattern of Lewis’s New leg! Please consider helping this young and amazing boy Lewis get his new leg.